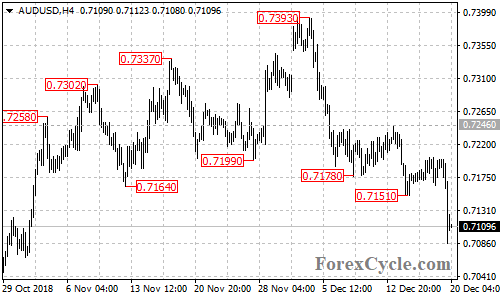 After consolidation, AUDUSD extended its downside movement from 0.7393 to as low as 0.7087. Further decline is still possible in a couple of days next target would be at 0.7050 area. Near-term resistance is at 0.7140, only a break of this level could signal completion of the downtrend.